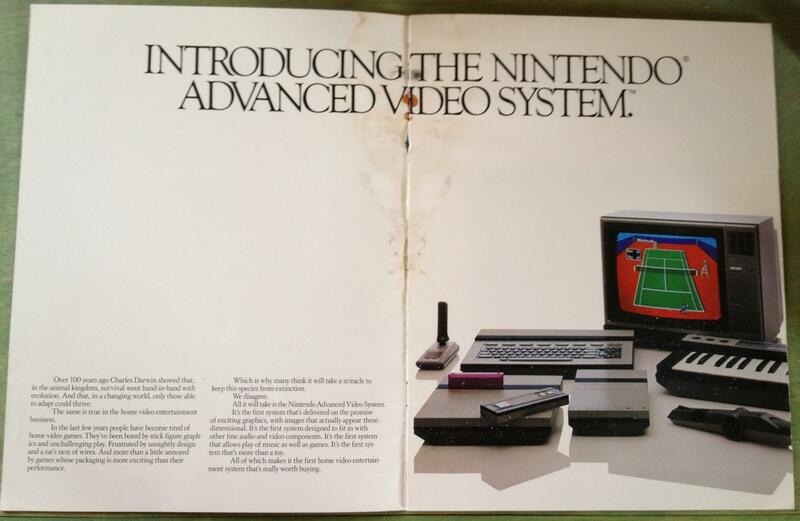 Lost Levels :: View topic - 1st nes advertisement Lost Levels - A website about unreleased video games. This appeared on twitter yesterday. Pretty neat stuff; hopefully the complete text will follow. Note that the 2nd image is mirrored. You can see the Nintendo logo is backwards, so the dpad woulda been on the left side as usual. 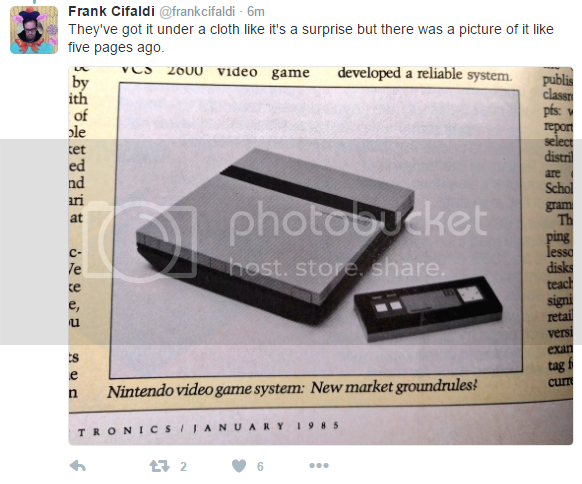 That Frank Cifaldi! We could use someone like that on Lost Levels. The brochure is different than the ad, but I've got that here too. I didn't know that. Anyway, you make kotaku. Well done! Quite fascinating to see. We worked very hard to make sure this picture would be missing something. Because we've always felt tangled wires and cords got in the way of enjoying home video entertainment. So we replaced them with infrared controllers that allow you the same freedom of movement as a T.V. remote controller. We also make lots of other wireless peripherals for the Advanced Video System. Like a joystick. A combination light wand and gun. A data recorder. Even a keyboard. In fact, the only wires you'll find are the two cords that plug the cartridge controller into the wall and into your television. Would have sucked if they went the battery route. I couldn't have afforded all those batteries back then. 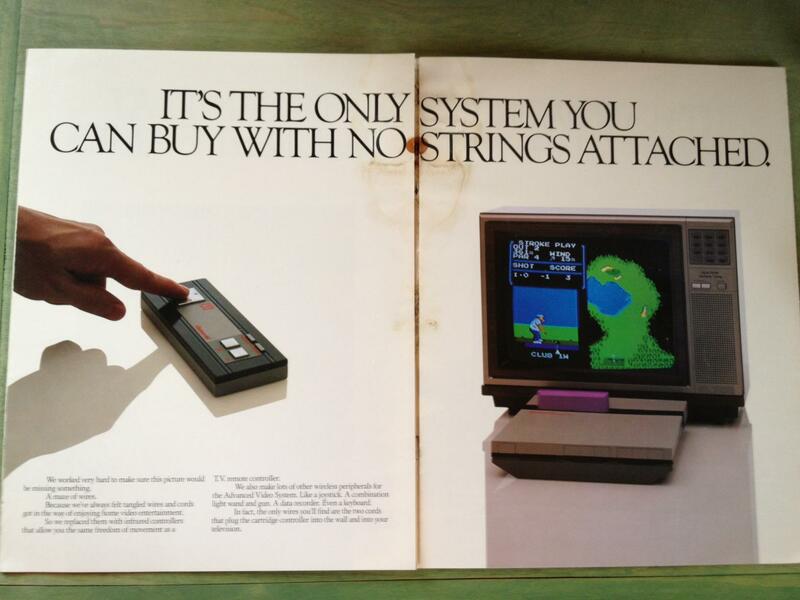 Anyway, the data recorder could have been wireless if it connected to the port on the bottom of the nes like a sega cd 2. 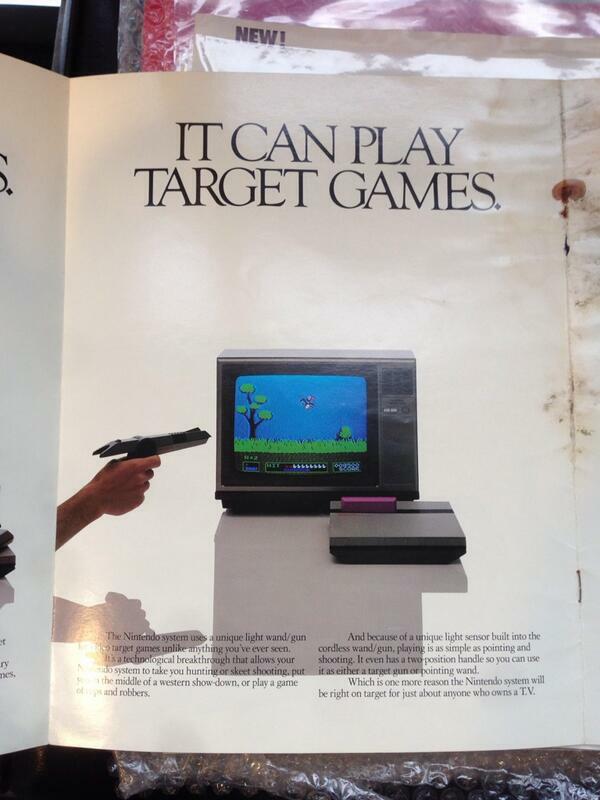 And you'll see them on the controllers, the light gun, and other peripherals that Nintendo initially considered making wireless on the NES. The collapsible light gun is boffo! You really think this was supposed to be anything other than a wireless, re-cased version of an already existing Famicom peripheral? 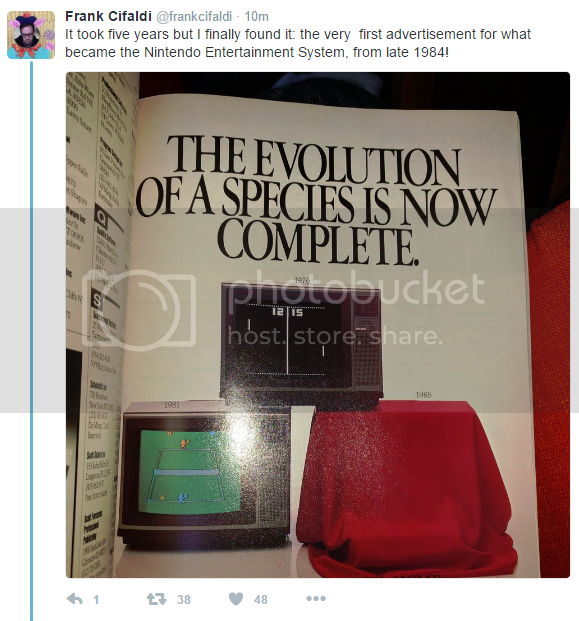 ...No, I think this was supposed to be a wireless, re-cased version of the already existing Famicom peripheral, which would have been too amazing because I don't think there ever was a home computer or console system that used a wireless cassette recorder. But the marketing folks were probably bluffing and hoping that their crazy wishes would magically come true.